Successfully Added NEJE DK-8 Pro5 High Speed Laser Engraver - 500mW, 512x512 Resolution to your Shopping Cart. Simply install the custom Windows software, plug in the engraver, and within a few short minutes your all set up and ready to go. It's that simple. Alternatively drag and drop photos and designs right into the software where you can tweak and alignment them. Then all that's needed is to preview the carving before commencing the engraving, all with the click of a few buttons. A great way to personlize your favourite tools and gagets by stylishliy engraving your name on them. 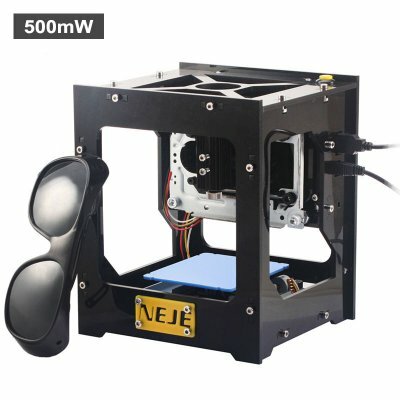 The NEJE DK-8 Pro-5 500mW Laser Engraver comes with a 12 months warranty, brought to you by the leader in electronic devices as well as wholesale laser gadgets..